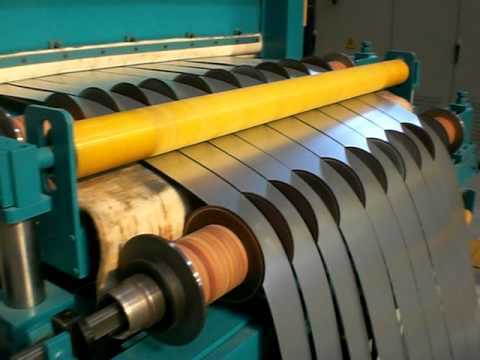 The slitting lines functions with the support of their components such as snubber roll assembly, de-coiler, strip leveler, slitting stand, recoiler unit, coil lifter and pinch roll. Our slitting lines are extensively renowned for their exceptional features such as superior product surface finish, rigid structure, durable life, adjustable speed, precise cutting and equipped with PLC control unit. The machine is ideally used in automotive, metal processing unit, wire manufacturing industries and various other industries for uncoiling, slitting and recoiling applications.